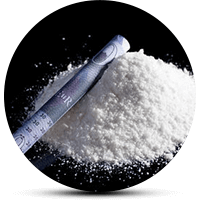 You can make Amphetamine right at your home though you shouldn’t be too concerned about its quality, purity or strength. Legal laboratories have controlled conditions, allowing for the purest and strongest outcome where as your home has contaminants and less control over heat. In late 2015, news regarding the use of self-made Amphetamine made headlines in the international media. The prime culprits were ISIS terrorists. According to an article in the dailymail.co.uk, Syria has become a hub for the production of cheap Amphetamine. In addition to smuggling it to the nearby territories, they use it for enduring the long bloodshed or gun battles. The risks outweigh the benefits. As a matter fact, Amphetamine is a highly addictive chemical. Long-term abuse may lead to some serious complications. For example, an increased risk of death or psychosis. If you know how to make Amphetamine, you may be more likely to use or abuse it. Or you may be selling to those who are already addicted, which isn’t helpful. For these reasons, the federal law prohibits its recreational use. Understandably, they may charge you for the possession or preparation of an illegal substance. Needless to say, learning how to make Amphetamine is not the best of the ideas. Learning how to make it will not hurt, but taking the drug will wreak havoc on your health as far as Amphetamine withdrawal is extremely intense. Browse the internet, and you will find numerous websites claiming a shortcut to synthesize Amphetamine also referred to as Chrystal. It’s not proven if all these allegations are true. The following method is derived from the article “A synthesis of amphetamine.” It was published in the Journal Of Chemical Education in 1974. Most probably, this is the most accurate method. It is because a 2001 patent mentioned in Google Patents also refers this. Warm a mixture of 40 g Phenylacetone, 200 mL alcohol, 200 mL Ammonia (25%), 40 g Aluminium grit and 0.3 g Mercuric chloride (HgCl2). At the same time, stir the mixture vigorously till they react. Then, stop warming right away. Warming the mixture may result in a violent reaction. If you see any early sign of this, apply cooling to the reaction mixture. When the reaction is silent or has a negligible violence, reflux it for about 2 hours. Continue stirring vigorously during this step. Concentrate the mixture in vacuum to 200 mL and pour it into ice water. Add 120 g Potassium Hydroxide (KOH) to alkalinize it. Treat the extracts with 20% Hydrochloric Acid (HCl). Alkalinize and then extract the resulting water with 150 mL Ether. Dry the organic layer over Sodium Sulphate (Na2SO4). Evaporate the Ether and distil the residue in a vacuum. This yields approximately 12.5 of Amphetamine sulfate, which makes the yield 30%. The purity of the final product is 99.2-99.8%. Wear protective clothing, gloves, and goggles. Stay alert as for the reaction proceeds. Keep a fire extinguisher and other safety materials on standby. Do not do any other activities inside the place where you are making Amphetamine. The writer or anyone associated with this website does not endorse any product, prescription or illicit chemicals, and other addictive substances that the law prohibits. The content presented in this article is only for informational purpose and should not, in any case, be used as a guide to make Amphetamine. Amphetamine is a highly addictive stimulant drug. Using it without a doctor’s prescription is against the law. Do not use it on the dose, frequency, or duration other than recommended by your doctor. Doing so can put in a risk of many complications, or even cause death. Do not share it with others or use anyone’s drug. If anyone is found to indulge in any such activity, they are liable to be punished by the federal laws. You could be a learner, and that’s one of the best individual attributes. However, when you learn to make Amphetamine and then make it, you might drag yourself into some legal problems. Also, accidents during the preparation could also cause some damages to the property or even life. Learn it but DO NOT make Amphetamine anywhere. Do you or someone you know have Amphetamine addiction? Talk to the experts. They can help you get out of the addiction safely. I suspect this product being made, produced close to my living area. I have woken up this morning feeling so mouth dry and burning, inside my throat right now is like I have sat inside a barrel of GASOLINE. I call and report, the people who attend just say ‘there is nothing here”. You do not look for it, you Inhale it. Please post me a Mobile Number to call of a legal chemical or drug detective, to prove I am Right. This is exactly what is happening to me! My neighbour has been pouring and stirring and heating chemicals through the night in his bathroom and loft, which make me feel just like that, since October. I called the police several times and we went to the police station twice, and they visited the property, but said they couldn’t smell anything, just the air was very dry. Sometimes it’s like acid in my veins and I’m wizzing. I banged on his walls. Now they have said I’m being a nuisance and if I do it again they will fine me, but I’m choking! There is no information on police websites here and they say it isn’t a problem in England. I have gone to a chemical testing company for colorimetric dosimeters for hydrochloric acid, Ammonia, Ether and Phosphoric acids so I can get evidence. When I was a young man we had amphetamine in a green pill form, called green amps ! I was a bricklayer back then and after taking one of those pills, I could work all day long and smile on the way home !! Back then you could get them by prescription so you had no worry of anything going wrong ! Soon after the government banned them and I have never tried methamphetamine and never will because you have to trust the maker who you may not know ! But back then the drug was the best thing I have ever tried ! I only wish it would be legalized again !! What’s wrong with an old man feeling great even if for a short moment ? Amen I’m a roofer and before that I processed animals. All are pains. But bc powder and monster good nuff for me! I sadly accidentally discovered this looking up apetamine the alleged weight gain syrup and I swore this was inane but why even post it… You’re trying to keep people clean… Well if they strict they’ll lower homade dose till they clean but that all I can see why. I do not think this process will work. It is to crude and it will not be clean at all. What you really knead is some benzaldehyde and nitroethane, with a dash of -pentylamine, and then let it react for two weeks. Then you filter and recrystallize it from glacial acetic acid. The product, 1-phenyl-2-nitropopene, has to be reduced with Red-Al (or Vitride) in some toluene or benenze, or some mix fo xylene, and the freebase of amphetamine forms. It is then distilled at 202 grades Celsius. The distilled freebase is dissolved in ether and some hydrogen chloride passed through. Then you ge rt the racemate as a hydrochloride salt, or amphetamine hydrochloride. Don’t forget to test it. Amphetamine sulphate final process requires a final additional step which was often glass or the enamelled surface of an iron bathtub – it’s not anything like the described here. Industrial cleaner, photographic developer which gave it the lovely pink colour and kept you high for 3 days – better than any MDMA for transforming perception of colour of light which was due in part to the dilation of the pupil and post-processing of that by the rapid firing of neurones in the lateral lobe. It wasn’t crystalline at any stage – it dried like chalk but much thinner obviously, and taking it pure required less than the size of a match-head. It’s not physically addictive but highly psychologically addictive, the come-down was it’s only unwanted side-effect which was little more than ‘feeling a bit blue’ – long term use led to psychosis and triggered other mental problems of a similar nature that the user was already susceptible to. You can’t synthesise the chemicals that made up the ingredients between the 70’s and mid 90’s and are no longer available by any means – one was a by-product of another industrial process in the creation of certain plastics which are no longer made anywhere in the world – the synthesis of those core ingredients isn’t worth the yield even if it were possible which I can assure you it isn’t. The liquid form of amphetamine popular in the 60’s that led to ‘Black bombers’ is the precursor of today’s crystal-meth, Pink Champagne cannot be made at home, the sulphate is no longer available and all attempts to synthesise it have failed – I’ve seen the evidence through a Tandem Quad Mass Soectrometer – the two are not recognisably comparible as the sulphate people think they are making and talking about. It’s bloody nonsense and the clue is in the fact that the sulphate IS NOT highly addictive! My friend & I used to grow what we called ‘Speedweed’. After finding out by accident one could smoke speed, I had smoked some weed & found myself wizzing all night apparently the guy had put the weed in a bag which had previously had speed in, then we had an idea, put amphetamine in the water supply of our hydroponic set up when the plants were flowering it was absorbed & crystelised in the buds, I’m sure its been done before, but yahoo it was VERRY popular. Are there legal alternatives, yes but weaker to my knowledge and the molecule have several chiral centers. It’s all about money and don’t sell these “unobtainium” drugs online. It’s just a waste of money and was it productive? no! If there is no address on the website and they even refuse cash at home. Then, you are plain stupid. Also, P2P is not legal and scheduled. Ac2O is banned and you need 1 liter of it to get enough for the chiral resoluton. I’m a chemist and another thing is that after hydrolysis of Ac2O you need to perform a reductive animation with sodium triacetoxyborohydride. If the novel substance is safe and it works then you can buy it if the customer ask for it. btw: amphetamine is addictive in high doses (like 2-3g) and the pure dextro form give a intense euphoric rush, the flash effect. Then you wish that that feeling should never go over. Once again, I don’t recommend it because you can’t treat that addiction (depression). The only legal alternative is methylphenidate: this is safer but not better after say one year you feel that the brain adapt and I doubt that one tabl. works for 16 hours. Then there are cravings because you aren’t able to organize nor study things if you have ADHD.